No one ever said Johns Hopkins was easy. In fact, most of our under-graduates find a Hopkins education satisfyingly challenging. But what happens when hardworking students encounter discouraging obstacles? How do they find the resources to succeed? We took a look at a few Hopkins students who have demonstrated resiliency in the face of daunting challenges. Sarah Hill’s body began to betray her at the age of 18 months when she woke up one day with a swollen knee. A bone scan confirmed that she had juvenile idiopathic arthritis, a condition that was affecting the joints in her knees, elbows, and wrists. The pediatrician told her parents that a percentage of kids with the disease also develop uveitis, a painful inflammation of the middle layers of the eye, and a small fraction also develop glaucoma. By the time she was 4, Hill had been diagnosed with her first flare of uveitis. By age 7, she was diagnosed with glaucoma. Now 20 and a sophomore in the Krieger School, Hill has had six surgeries to control the pressure in her eyes and protect her vision. An athlete in high school, she had to quit playing field hockey junior year when her joint pain became too much. But she doesn’t like to think about the long view, so she takes it day by day. The public health and classics double major takes her meds every morning and brings them along if she won’t be back until late. She’s juggling 18 credits, two internships, duties as a Phi Mu sorority member, and preparations for a summer researching obesity in Puerto Rico. Every week, she gives herself a shot that sickens her for a day. “It does take a lot of planning,” Hill says. Last summer, Hill met her biggest challenge yet. She was experiencing discomfort after a procedure to relieve the pressure in her right eye, but she had an internship lined up with the Centers for Disease Control. Things never felt quite right in Atlanta; her eyes were very sensitive to light, and by the end of the summer, her vision was cloudy. She needed a corneal transplant, which would mean leaving school for a semester. Hill decided to delay the procedure until winter break. “I really didn’t want to take time off because it was important to me to not let the fact that I couldn’t see get in the way of what I wanted to do,” she says. By the end of the semester, though, she had no vision in her right eye and couldn’t see the board in class. Somehow, though, she earned her best GPA yet. During winter break, she had the transplant surgery and is now feeling back on track. Hill has been seizing control of her situation for half her life now. It started at age 10—two glaucoma surgeries already under her belt—when she began showering her ocular immunologist with questions. What did her future hold? Would she be able to see? Attend college? What medications and treatments were similar patients receiving? The answer was that no one knew; the disease and its complications were so rare that little existed in the way of data or research. The physician issued the fifth-grader a challenge: If she raised money and interest, he would help funnel them toward research and education. In high school in New York, Monica Guo’s friends went home to empty houses because their parents were at work. Guo ’17 came home to an empty house because her parents were in China. For four years, Guo lived alone in an apartment leased by her mother on the Lower East Side and spent summers with her family in China. The independence and self-confidence the international studies and East Asian studies double major developed during that time have become as much a part of her character as the drive and adaptability that got her through it. Born in New York, Guo spent her first seven years with her grandmother in China while her parents worked in the U.S. She moved back to New York just in time for 9/11, when she and her family left the city to open a restaurant in Louisiana. Six months later, Guo had picked up English and was serving as interpreter for her parents. At 13, the family moved back to China, but it was a bumpy re-entry; Guo had the highest academic aspirations but was not on track to make the top 5 percent cut required by China’s best universities. So, at 14, she and her parents decided she’d return to New York—alone. It took about a year to get used to living on her own. Being underage, she couldn’t open banking or utility accounts, so she operated in a cash economy. She enrolled herself in school. Her experience helping her parents manage their affairs in Louisiana came in handy, she says. But her biggest challenge was the atmosphere at her high school, which opened the year she arrived. The graduation rate for her class was 60 percent, and only one other student went to college outside New York. Guo knew she needed a strong foundation to achieve her dreams. So she founded and ran the student government and a community service club. She also found a kindred spirit in her history teacher, who had left Wall Street for the classroom and recognized a piece of himself in her self-motivation and the way she chastised herself if she fell short of her own standards. She had few role models for her goals—her parents had come of age during the Cultural Revolution, when higher education was not a priority—so he helped her carve a path toward college. She spent Thanksgiving with his family and contributed Chinese dumplings—a tradition she’s continued every year. When she stumbled, he taught her to take a step back, reflect and learn from the episode, and then let it go and move on. That strategy is serving her well at Hopkins, where she is surrounded for the first time by peers as motivated as she is. When she arrived, she had to quickly adjust her expectations for herself and adapt to the high-achieving environment. Fortunately, her frequent leaps across cultures had prepared her well. “I’m different from lots of people here, but that doesn’t mean I didn’t belong here,” she realized. At home in both the U.S. and China, fluent in both languages, she sees parts of herself in every group she encounters. This ability to relate anywhere will be an advantage in her career, she says; she hopes to go into business involving China. Drawn now to similarly mature and motivated peers who reinforce her values, Guo recognizes that the person she is today—shaped by every experience she carries with her—is very close to the person she will become. Phil Castronova ’15 is an athlete to his core. 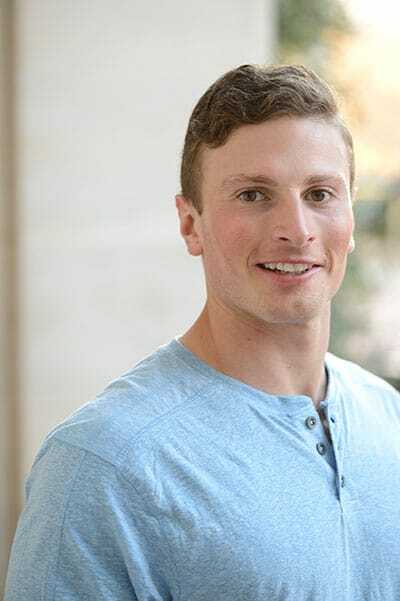 Athlete of the year as a senior at Calvert Hall College High School in Baltimore, he’d mounted a strong freshman season in lacrosse at Hopkins, ranking on the first team. During scrimmages the following fall, he was in his best shape yet and was looking forward to an all-American season. That November, a bevy of Blue Jays traveled down to Charlottesville, Va., for a charity event, the Will Barrow Memorial Flag Football Tournament. In the second game, Castronova made a cut—a rapid shift in direction—and felt a harsh pop in his right knee. He finished the play and scored, but it would turn out to be a torn ACL. The surgery to repair the tear went well, but complications appeared. The defensive middie was out for the season. The surgeries behind him, Castronova trained hard, sitting out the fall season of his junior year, and came back spring semester feeling strong mentally and physically. But his penchant for jumping would come back to haunt him. The penultimate match of the season was against local rival Loyola University. It was Senior Day, a sold-out crowd, and the Blue Jays needed the win to make the playoffs. As the team took the field two minutes before start time, Castronova—ever the “amp guy”— jumped up and down to pump up the team. He landed and felt like he’d blown out a tire in his foot. Trainers confirmed it: a torn Achilles tendon. After the ACL, after the long months of training, and at the pivotal end of the season, Castronova was devastated. There was no choice but to slog through another long recovery. More hospitals, more slow and steady training. But something was different this time: Castronova had discovered that while lacrosse had always been his world, and that he wanted to stick with the sport as long as possible, he needed to find life outside lacrosse, too. He pushed himself to study harder, give all his attention in class, and become the guy whose notes are so good other students ask to borrow them. “I like who I’ve become the past couple of years academically,” he says. When he returned to lacrosse senior year, he saw his new focus translate to the field. He played through the fall for the first time since freshman year and entered the spring season with newfound physical toughness to match the mental resilience that had taken him that far. At the end of what would have been his senior year, Castronova decided to apply for redshirt status—athletes who miss an entire season for medical or academic reasons are eligible to play an extra season. It means a fifth year of college, but there’s a huge silver lining: He’s playing in Hopkins’ first season in the Big Ten—the oldest athletic conference in the country. After Hopkins, Castronova plans to go into marketing or finance and eventually earn an MBA. The Boston Cannons drafted him two years ago, so he hopes to keep one foot in lacrosse by playing pro for a few years on the side. But first, and closest to his heart for now, is finishing out the season healthy and with an eye on a championship. She didn’t fit in, that first year at Johns Hopkins. 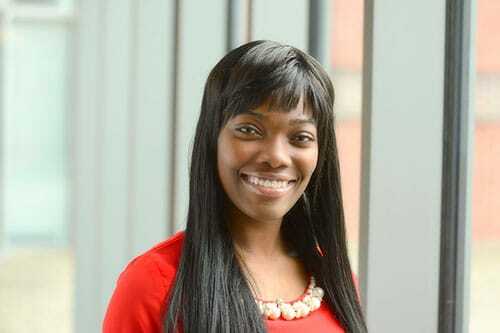 And she told herself that was OK. Christiana Obeng ’15 hadn’t fitted in at Baltimore’s Western High School either, and she had done just fine there, earning a spot at Hopkins as a Baltimore Scholar (a program that provides full tuition to Baltimore public high school students who are accepted into JHU). In fact, she hadn’t really fitted in anywhere since arriving in the U.S. from Ghana at the age of 14. She had her family, and her academics hadn’t suffered. She would manage on her own. And she did manage, sort of, until her sophomore year. 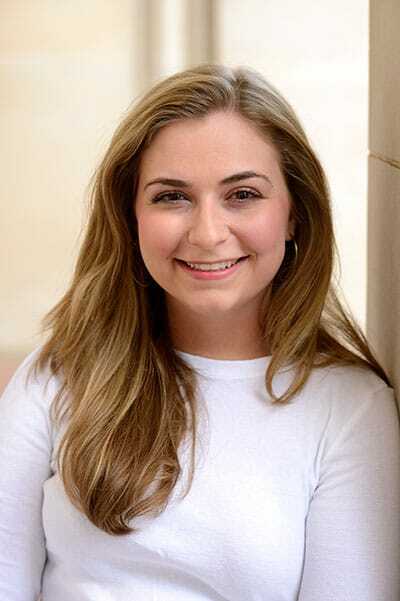 Following a premed path, she struggled to master physics and organic chemistry on her own, while her classmates formed study groups to share the load and encourage one another. “I didn’t know how to ask for help,” Obeng says. Her grades trended downward enough that the director for multicultural affairs and a senior academic adviser called her in for heart-to-heart talks and provided a tutor and study consultants. Her worried father, a pharmacist who’d been a chemistry professor in Ghana, connected her with doctors who could serve as mentors. So she took a pretty radical step for a young woman stuck in her shell: She became an RA—a resident adviser responsible for guiding 38 freshmen in a dorm. It seemed, she says, the perfect way to force herself to go out and talk to people and connect with them. She wouldn’t be able to hide away anymore; now she had to be the one to draw other students out and keep them from slipping through the cracks. They would depend on her, and she’d have to step up. When August came around, she was nervous as families began to arrive: she had to give parents confidence their kids would be okay. But it worked. Gradually, through her junior year, she became the person she knew herself to be. She kept her door open so students could drop by, and they did. She spent hours at a time debating philosophy with one student, both of them equally opinionated. She noticed another student keeping to himself and heading down an all-too-familiar path, the kid whose name no one knew. She reached out to him, learned he was a musician, and mobilized a crowd from the dorm to cheer him on during his gig at Spring Fair. By the end of the year, he was hanging out with his dormmates. Asking for help, it turns out, offers far greater rewards. Not only do you have people with whom to share your successes, she says, but you have people you can depend on, people who are true friends. At first, it was all about the trophies. Dikshant Malla ’17 found that high school debate satisfied his taste for competition without demanding athleticism, which wasn’t his forte. Debate consumed Malla’s time and energy, spiriting him away for weekend competitions and bracketing the time he could give to homework. But by the end of his senior year, debate had become much more: it was a springboard for what he believes will be a lifelong commitment to social justice, and it had shown the once shy immigrant the way to his own voice. 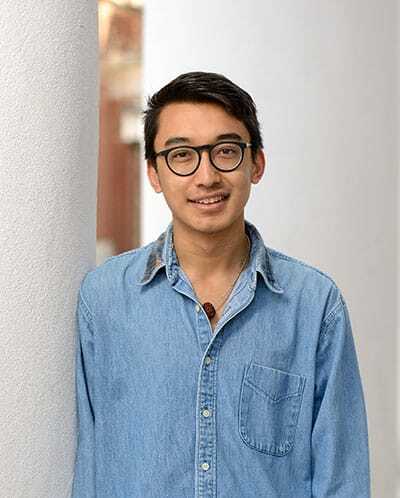 Malla, who is double majoring in sociology and international studies in the Global Social Change and Development track at Hopkins, came to New York with his family in 2005, at the age of 10, from Nepal. He has fond memories of frequent days off from elementary school there, but realizes now they happened because the civil war had shut down the streets. Two years later, the family moved to Baltimore, and Malla enrolled at Roland Park Middle School. It was there he first caught the debate bug while watching his best friend earning trophies and medals as a member of the Baltimore Urban Debate League (BUDL). He also found that while debate ate into his study time, it helped him academically—and his academics helped his debate prep, too. He’d learn concepts and theories in debate and apply them in his classes, and vice versa. And competing against a range of schools, both public and private, he realized something about his place in the world. He saw that some of his opponents had access to far greater resources than he did, but that debate put them on a level playing field. Success, he saw, was not necessarily a simple question of wealth. “Just because I’m from Baltimore and go to public school, and don’t have the same amount of resources as someone at an elite school, that doesn’t mean I can’t compete with them. Debate was the place where I could do that,” he says. Malla returned to that lesson when he arrived at Johns Hopkins, where the resource disparity felt sharp. At first he retreated back into shyness, believing he couldn’t relate to his peers. He worried about passing his classes and succeeding at college and kept his fears to himself, thinking he was the only one. But when he made a friend—a Baltimore Scholar like himself—she helped him realize that stress was a common thread and that he was hardly alone. He began reaching out and forming friendships, and soon became the guy who stops to talk to everyone. “To succeed academically, you have to have a level of social life,” Malla says: Those contacts give you confidence and shape your goals.